Cocina de Autor and Frida restaurants among the 50 Best in 2011. 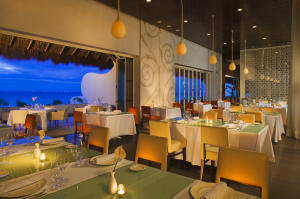 The two Grand Velas Riviera Maya restaurants, Cocina de Autor in 8th place and Frida in 42nd place, are the only two dining establishments on the prestigious list found at an All-Inclusive resort. 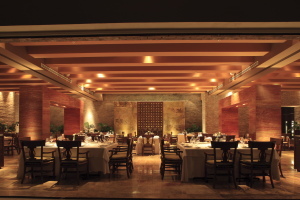 After conducting much in-depth research and deploying a considerable amount of effort and recourses, Bancomer financial institution published their list of the 50 Best Restaurants in Mexico for 2011, which features two Velas Resorts restaurants: Cocina de Autor in 8th place and Frida in 42nd place, both located at Grand Velas Riviera Maya. This list reflects the consensus of an expert team of gourmands, who visited each restaurant a minimum of six times over the course of a year, conducting their research outside of commercial or individual interests. Among the list of restaurants, Cocina de Autor and Frida are the only ones found at an All-Inclusive resort, making the recognition of the gastronomic quality they offer all the more admirable.